You would be surprised how many people would argue against that. .
Maybe I should have said "most people don't choose a specific OS primarily due to its GUI aesthetic", and I'd like to put emphasis on the fact that I do in fact mean "aesthetic" and not "how the GUI is arranged". An example would be the people that stayed with Windows 7 over Windows 8 - they did that not because of Windows 7's aesthetic, but rather because of "how the GUI is arranged". There's even a washed-out hover icon for my Zing! Locale Switcher button, for some reason. I don't mind necessary underlying structural changes to themes but changing the look and feel like this is totally unnecessary and I think it should be restored to how it was before. You also seem to have removed the "List all tabs" icon. Could you please restore it? I have to say the lack of quality control for this release (2.0.0) is really disappointing. Maybe you should get some people to test new releases before making them public. Thanks for the report. I've fixed this in the source on GitHub and will push a release soon. I normally don't do betas and test releases (typically because there simply isn't the turnout; I rarely get bug reports for release versions, even), however in this case I'll leave one below. Let me know how it is - If all's good I'll push the same to Aeromoon, too. there *isn't* a dropdown button to the right of the back/forward buttons that was there before, the tabs look slightly different (more shadow at the top) which looks worse, and when the window is maximized in Windows, for some reason the bevel at the bottom of the window is a bit thicker than before, which looks worse. You're using pure CSS to modify the icons on hover. While this may simplify things, it gets rid of the fundamental principle that an extension developer can change their icon on mouseover to whatever they want. Your CSS should not be touching the icons of any buttons that are not built in to the theme. Thanks for the feedback. I do appreciate the constructive criticism - I certainly don't get enough of it generally. I've attached another beta below - please check it out. jez9999 wrote: You're using pure CSS to modify the icons on hover. While this may simplify things, it gets rid of the fundamental principle that an extension developer can change their icon on mouseover to whatever they want. Your CSS should not be touching the icons of any buttons that are not built in to the theme. Admittedly I was a bit too presumptuous with this one, as I was hoping to style buttons not native to the theme in the same way as native buttons. I'm still keeping this use of CSS filters though, but only applying it to the native buttons, as I don't feel there's a need to have separate images for each button state when the same thing can be applied using filters now. Back in the Firefox 3 days, sure, but not now. They look the same as Firefox 3's tabs, unless you can point out anything to the contrary. Where..? The below are from Windows 10, but I also checked on Windows 7 too and saw no issues like this. Nintendo Maniac 64 wrote: ...yeah I'm not really much of a believer in "OS integration" since most people don't choose a specific OS due to its GUI aesthetic, and I'd much rather have a program have the same UI regardless of platform for familiarity sake (VLC is a good example of this). Then again, I'm the same person that has been using the Windows "high contrast black" theme for possibly over a decade now and have even used it across Windows versions (at least XP and 7), so I'm used to having programs not match my OS theme. Please give the beta I've attached a go - I've had a thought about this and come to a compromise with this. I've changed the appmenu again, more like the original, but not exactly. It feels a lot better (in my opinion) - though please let me know if it's not what you were thinking. Try it in "icons and text" mode. Thanks. Try this one now? They seem to be fixed in that one, yeah. Is there any change on icon on mouseover now though? I think the icons got slightly darker on mouseover on Fx3. It gets slightly darker when you click the icons, for native buttons only (no extensions). Lootyhoof wrote: It gets slightly darker when you click the icons, for native buttons only (no extensions). It doesn't seem to get at all darker on mouseover for those buttons in your theme now, though. Not visibly to the naked eye anyway. I've tweaked the button states more now. I had a look at Firefox 3, and yes, these do work on hover rather than click, which I've now accounted for. Seems to be correct now but I still don't see why you couldn't just keep the previous theme which I created and I made sure I got everything right. Lootyhoof wrote: I've tweaked the button states more now. 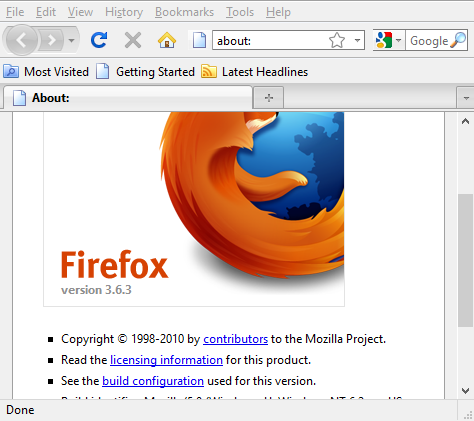 I had a look at Firefox 3, and yes, these do work on hover rather than click, which I've now accounted for. Better, but as the primary user of the PC that Moonfox3 was being used on is a 63 year old man that has trouble learning and remembering new GUI concepts and in general prefers text buttons to icon-only buttons (he's been quite vocal about that when it comes to center consoles in cars), I try to keep all things UI-related as familiar as possible (it's a big reason why Pale Moon and Moonfox3 are being used in the first place, and why the PC in question runs Linux Mint with XP-styled window border theme). This is also why I would prefer to just stick with v1.6.0 rather than making the previously-mentioned modification - there's less for me to manage and keep track of (which is ideal when I'm not the PC's primary user). If it was just myself that was using this theme, then everything would be fine...but in that case I would probably be using something like the "Dark Moon" theme anyway. Yeah. This is exactly why I was porting this theme over to PM myself, because I just knew if I left it to someone else they wouldn't be able to resist screwing around with it for no good reason. I guess I'll just keep using 1.6.0 but it's a shame I didn't finish the port and I don't have the time now. Why can't people just follow the old adage "if it aint broke, don't fix it"? Nintendo Maniac 64 wrote: Better, but as the primary user of the PC that Moonfox3 was being used on is a 63 year old man that has trouble learning and remembering new GUI concepts and in general prefers text buttons to icon-only buttons (he's been quite vocal about that when it comes to center consoles in cars), I try to keep all things UI-related as familiar as possible (it's a big reason why Pale Moon and Moonfox3 are being used in the first place, and why the PC in question runs Linux Mint with XP-styled window border theme). This satisfies those points, and the responses I received for this were positive. I can't please everyone, you know; the reason that userChrome.css exists at all is so that the user interface can be tweaked in a way that works best for YOU. If that's an unreasonable thing to suggest, then by all means use an older version, but all things considered this design is here to stay. jez9999 wrote: Yeah. This is exactly why I was porting this theme over to PM myself, because I just knew if I left it to someone else they wouldn't be able to resist screwing around with it for no good reason. I guess I'll just keep using 1.6.0 but it's a shame I didn't finish the port and I don't have the time now. Why can't people just follow the old adage "if it aint broke, don't fix it"? I do the best that I can for my themes given time and resource constraints in my own personal life. If there are any issues I generally fix them within a reasonable timeframe. If you'd prefer to do things differently, I'd welcome a fork. With that said, if you have an actual bug with the theme to report rather than my methodology, I'd be happy to hear it. Otherwise I don't have anything further to discuss with you. @jez: If you don't like the direction the theme is taken in, then you should have continued maintaining it yourself. Please don't make trouble with your negativity for the sake of it. If you don't agree with it, then, as Lootyhoof said: make a fork. @Nintendo Maniac 64: I hate to say it but we can't make a general theme cater to the specific needs of a 63-year-old user who is apparently unable to absorb even a single bit of new information. So.. if it's needed and you want a theme to be uniquely suited to an individual, then you too can fork it, but in this case I think just keeping a userChrome.css on that particular installation will be a lot more economical, because either way, that particular maintenance burden will land on your shoulders, nobody else's. Full disclosure - my previous reply was delayed because I expected the changes in v2.0.0 to remain "as is" and unsubscribed from this thread since I thought things wouldn't change. So with regards to my previous reply, I certainly do not expect you to change things simply due to my situation, I was just simply stating the reasons why I prefer to stick with v1.6.0. As for the userChrome.css option, is it not more likely for Moonfox3 v1.6.0 to work in a far future version of Pale Moon than for the Moonfox3 userChrome.css to work on a far future version of Moonfox3? I mean, my sister is still using a 6-year-old Firefox theme (AvantGarde) in Pale Moon 27. The userChrome.css is very simple and unlikely to break. 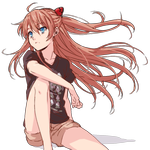 Moonfox3 however changes based on changes in Pale Moon. Even now, there are breaks which are to be fixed in the next version (for example, the status bar code to allow for a custom progress meter in the status bar options window). Lootyhoof wrote: The userChrome.css is very simple and unlikely to break.